Stockholm, 4 March 2016 – Swedish slots specialist Quickspin has agreed a new deal to provide its games on the casino tab of 188BET.com. The Isle of Man-licensed sportsbook has been given access to Quickspin’s full suite of products, developed for both desktop and mobile devices. Quickspin’s roll-out features a number of exciting games, including player favourites Crystal Queen, Razortooth and Second Strike, as well as the recently released Genie’s Touch. 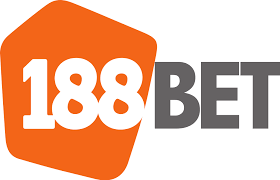 188BET will also be armed with Quickspin’s unique range of promotional tools helping to differentiate their offering and reactivate and retain existing players. Quickspin is now a leading developer of real money and social casino games and counts the majority of Europe’s leading sportsbook and casino brands among its clients. Quickspin have announced a number of recent partnerships with gaming operators, with more deals on the horizon following a successful demonstration of their products at this month’s ICE exhibition. Quickspin is a Stockholm-based game development studio that targets the online real money and social gaming sectors. The aim of its 40-strong team of gaming industry veterans is to cause a market-changing shift in quality and innovation. The company delivers outstanding triple-A video slots with design, style, artwork, sounds and features that surpass the competition as standard.